Mousses and puddings are supposed to be light and creamy desserts, the type of sweets that won’t leave you feeling full and heavy like if you were to eat a dense slice of cake or a brownie (or two). But despite the fluffy and airy texture of mousses and puddings, they aren’t healthy and sure won’t leave you feeling “light” on the scale. Typical mousses contain a ton of heavy cream, sugar and egg yolks. Regular puddings include much of the same — heavy cream, half-and-half, sugar and eggs. So I made a healthier mousse… well, it’s between a mousse and a pudding. 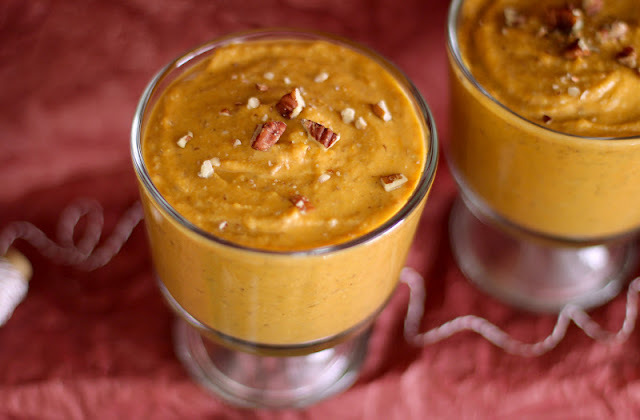 This Healthy Maple Pumpkin Pie Mousse Pudding is both sweet and creamy, but slightly on the dense side since you don’t have to whip eggs for 10+ minutes. The low glycemic sweeteners won’t give you a sugar-rush and sugar-crash, the amount of fiber will give you that “full” sensation, and the high protein content will keep you satisfied after one serving rather than the entire batch! In a large bowl, whisk together the pumpkin, coconut milk, maple syrup, molasses, and maple flavor. 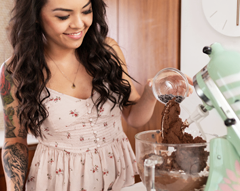 In a small bowl, whisk together the protein powder, sucanat, flaxseed, sweetener, cinnamon, and nutmeg. Add to the wet ingredients and whisk until fully incorporated. Should look like a thick orange batter. Pour into serving cups, cover and refrigerate for about ~4 hours to firm up. Serve and enjoy! **Soy protein powder absorbs A LOT of liquid. 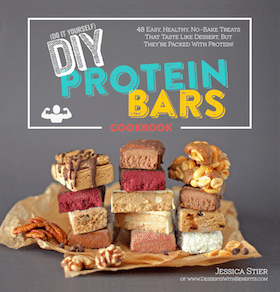 If you want to sub the soy protein, you can try casein protein powder or brown rice protein powder. I haven't tried subbing the protein powder here but feel free to try it out if you like! These are amazing nutrition stats, especially compared to other pumpkin mousses and puddings! Especially in comparison to other mousses. I found one that contains 530 calories and 40g fat PER serving. No thanks! 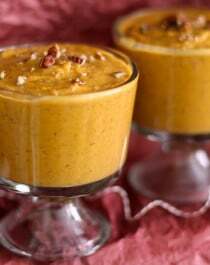 Top your Healthy Maple Pumpkin Pie Mousse Pudding with chopped pecans, a sprinkle of sucanat, a dash of cinnamon or all-natural vegan whipped cream. Delicious!!! 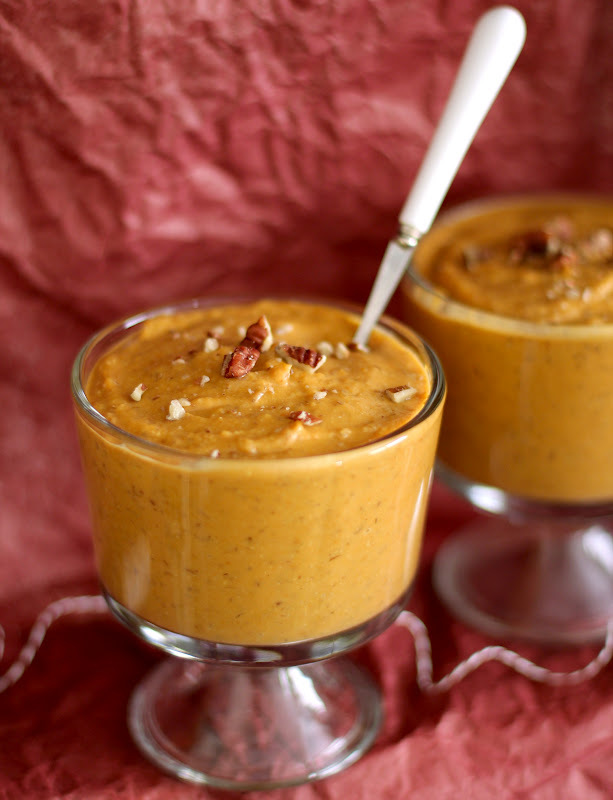 I’ve been all about making pumpkin-y, no-bake desserts lately, so I have to try this one!! 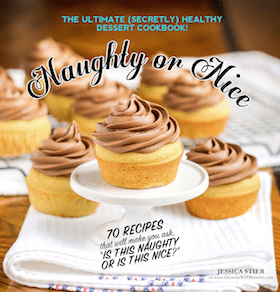 Healthy desserts ftw! Yum! I can’t wait to give this a try. Looks like the perfect fall treat.